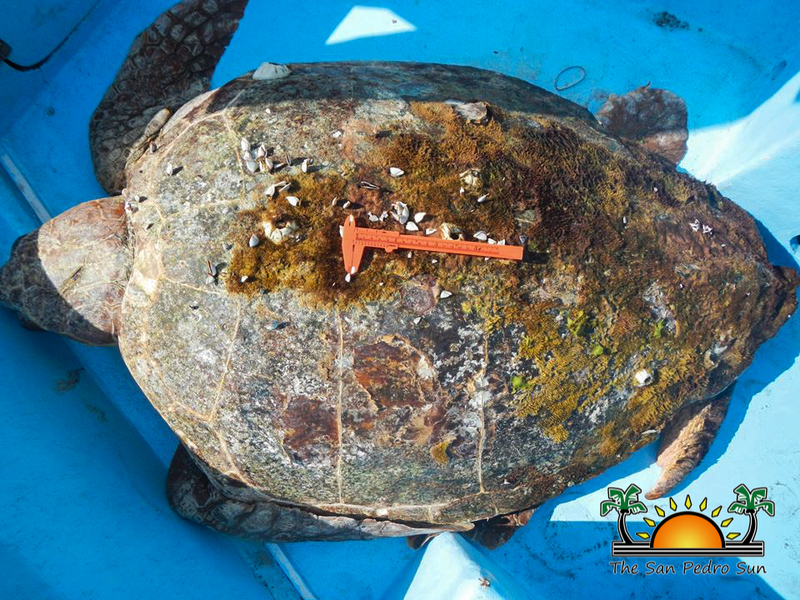 An adult male loggerhead turtle has been rescued by park rangers at Hol Chan Marine Reserve and is being rehabilitated at the reserve office. The marine turtle was found on the morning of Tuesday May 6th suffering from a fractured shell that has allowed air under the carapace. According to Biologist Kirah Forman, who heads the Ambergris Caye Marine Turtle Monitoring Program, park rangers observed that the turtle was unable to submerge. A closer look revealed that the reptile was hurt and needed some attention. “The ranger, with assistance from a passing vessel, managed to place him on the boat and bring him in for an assessment and further care. His shell was slightly fractured near the base. It seems that he was hit by a small vessel,” she said via a statement issued from the Ambergris Caye Marine Turtle Monitoring Program. Those injuries caused air to be trapped under its upper carapace, preventing the loggerhead from diving.“When a turtle has air under the shell, it is unable to dive for food, and because it remains floating on the surface, it becomes an easy target for predators as it is unable to swim fast,” outlined Foreman. The statement further indicated that the turtle is otherwise healthy, with minor injuries. 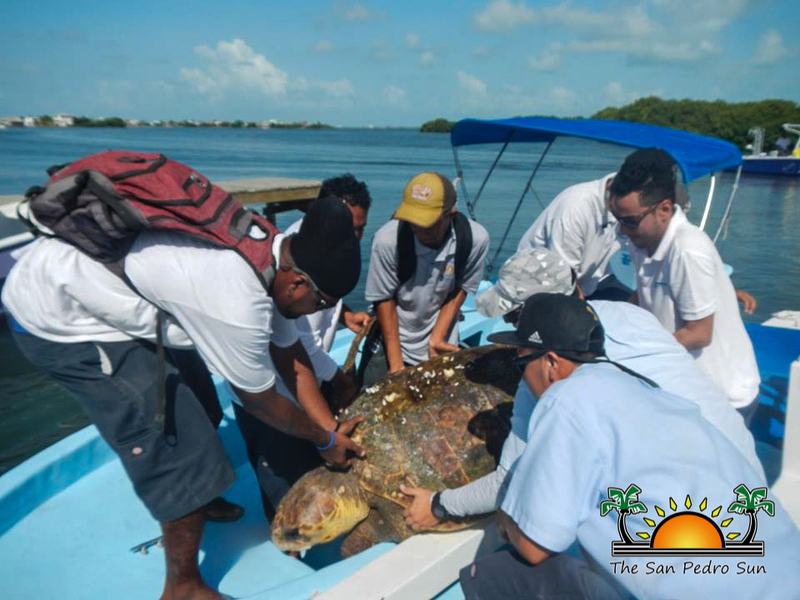 “This is an injury we have seen before and with time he will absorb the air and be ready to go back out.” The male turtle, measuring three feet, three-and-half inches and weighing over 200 pounds, has since been taken to Bacalar Chico Marine Reserve where it is recuperating. Foreman said that it will take a few weeks before the air is absorbed and the turtle is released. The Ambergris Caye Marine Turtle Monitoring Program would like to remind all boat operators that it is turtle mating season, as such many of the bigger turtles who normally stay offshore are coming in closer to the reef to mate. Boat operators are being asked to please be cautious, especially during this period to prevent this kind of incident from occurring.